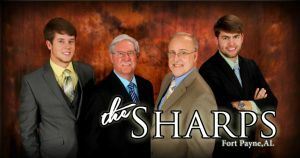 Fort Payne, AL (February 25, 2015) LGMA multi-nominated quartet, The Sharps are proud to release their second single “His Love and Grace” from their latest project Someday I Will. 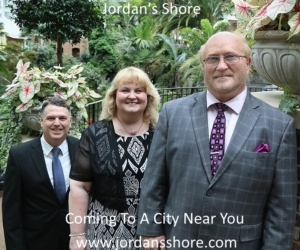 This single is a follow up to the group’s last single “He Built a Bridge” that was released in August 2014. The single “His Love and Grace” reminds us that God’s love is faithful and everlasting. The single is set to be released this week with Adam Knight, owner of AOK Promotions. “His Love and Grace” was written by one of the group’s longtime family friend, Dewayne Taylor, who suddenly passed away in 2011. This tragic event inspired The Sharps to take the song and shape it into what is heard today. The song “His Love and Grace” simply states that God’s love still amazes us each day. Encouraging others to find his grace that will last throughout eternity.